In 1941, Johnny Goyen, then sports editor for The Cougar, and Jack Valenti, president of the sophomore class, began a petition for an official intercollegiate football team at the university. The next year, the two called a student body meeting to organize another petition. This petition's purpose was to challenge Rice Institute (later known as Rice University) to a football game. The Rice Owls were an established program, having played since 1919 as a member of the Southwest Conference. In August 1945, the University of Houston announced that the school would field a football team for the first time. Following the announcement, the Lone Star Conference, spearheaded by Theron J. Fouts of North Texas and Puny Wilson of Sam Houston State, extended an invitation for Houston to join on October 25, 1945. In September 1946, the team became a reality after Harry Fouke, UH's first athletic director, hired successful high school coach Jewell Wallace, and tryouts were held. One hundred thirty students showed up, only ten of whom had actually played college football before. Many of the married students lived on-campus at a makeshift village for World War II veterans, while some others lived in the university's recreation center in bunks for naval recruits training at UH during the war. Prior to joining the Cougars, Wallace served as head coach for San Angelo High School. During the spring training for the first team, Goyen and Valenti's petition was finally answered, as Coach Wallace arranged a small practice game between Rice and Houston. The meeting was to be at Rice. When the team arrived at the field in their practice uniforms, they realized that the game was much more serious. Officials were there, and the stadium was full of spectators. The game ended with Rice demolishing the Houston Cougars. The game had an attendance of 11,000. It wouldn't be until 1971 that the Cougars and Owls competed again. 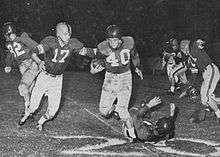 Playing in Houston Public School Stadium as a part of the Lone Star Conference on September 21, 1946, the Cougars played their first official game against Southwestern Louisiana Institute (later known as the University of Louisiana at Lafayette) using the Split-T offensive strategy. Although Charlie Manichia, the Cougars' starting quarterback, scored the first touchdown of the game (and in Cougar history), the team lost to SLI 13–7. The next game, the Cougars played against West Texas State Teachers College (later known as West Texas A&M University), and won their first game 14–12. The Cougars finished up their first season with a 4–6–0 record. Wallace continued as head coach for the Cougars until the end of the 1947 season, when Clyde Lee took over. After a 45-day search for a head coach replacement, Bill Meek, a successful head coach from Kansas State University, signed a contract with the Cougars and was appointed as Houston's head coach on January 19, 1955. The Cougars' 1955 opening game against the University of Montana marked a 54–12 victory, the first opening victory since 1948. It was during this season that UH attempted to gain a membership to the Southeastern Conference (SEC). Ole Miss, UH's sponsor to the conference, had played the Cougars in their ninth game of the season, and although the Cougars lost, Ole Miss felt the team was worthwhile. The SEC decided to wait a year to determine whether UH would be a member of the conference. The 1956 season was thus an important one for the team. The Cougars won the Missouri Valley Conference title for the second time, and tied with the Southwest Conference's nationally ranked Texas A&M Aggies during their meeting. However, UH lost to both SEC scheduled teams during the season. Both Southwest Conference and Southeastern Conference bids by the Cougars were once again rejected. During the next season, Meek left UH for Southern Methodist University. Hal Lahar was announced as Houston's next head coach on January 18, 1957. Lahar came from Colgate University, where he had served as head coach for five seasons. In college, Lahar had played for the Oklahoma Sooners, where he was a part of the school's first bowl team. 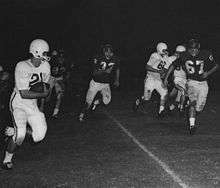 Under Lahar, during the 1958 season, the Cougars became a nationally recognized offensive leader, as the team scored a combined 117 points in their first three games. Lahar's offensive strategy was best characterized as Split-T.
After winning the Missouri Valley Conference titles again in 1957 and 1959, Lahar left UH in 1961 and headed back to Colgate University. In 1964, Yeoman broke the color barrier for major Texas football programs when the University of Houston signed San Antonio's Warren McVea to a scholarship. On September 11, 1965, the Cougars played their first nationally-televised game on NBC against Tulsa. He guided the Cougars to four Southwest Conference Championships — 1976, 1978, 1979, and 1984 — and a 6–4–1 record in bowl games including Cotton Bowl Classic victories over the Maryland Terrapins in 1977 and the Nebraska Cornhuskers in 1980. 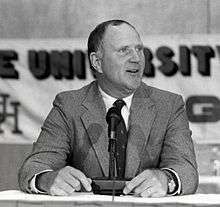 In 1976, Houston's first year as a member of the SWC, Yeoman was named Texas Coach of the Year and runner-up for National Coach of the Year. 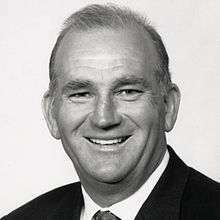 Yeoman was elected to the College Football Hall of Fame in 2001 and the Texas Sports Hall of Fame in 2003. He coached 46 All-Americans and 69 NFL players. In 1978, the NCAA subdivided the Division I into Division I-A and Division I-AA with Houston being a part of the former (now known as Division I FBS). 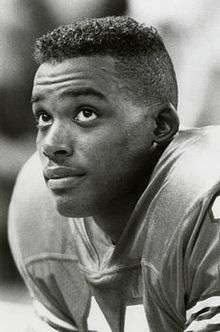 Despite returning David Klingler and several other stars, the 1991 season saw a significant downturn from the Cougars' previous four-year arc of improvement. The season began in rousing fashion with a 73–3 home rout of Louisiana Tech, but the second game marked what would in hindsight be the end of an era. In a game nationally televised on ESPN that had been billed as an intersectional meeting of powers, the Cougars faced the Miami Hurricanes at the Orange Bowl. Miami blitzed early and often, keeping the Cougars' high-powered offense from getting any momentum. The Cougars not only lost the game 40–10, but also lost a good deal of the mystique surrounding their offense. The Cougars' other opponents repeated Miami's game plan of heavy blitzing. A week later against Illinois saw more of the same; they lost that contest 51–10. Although the Cougars beat Texas for the fourth time in five years, they finished seventh in the conference with a 3–5 record and a 4–7 overall record. After the season, Klingler was selected No. 6 overall in the 1992 NFL draft, while defensive end Glenn Cadrez was picked No. 154 overall by the New York Jets. The 1991 season marked the start of what would be a decade-long fall from the successes of the late '80s. From 1991 to 2004, the Cougars would have only three winning seasons. 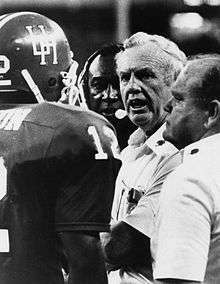 After the controversy and NCAA sanctions of the late 1980s and early 1990s, the UH athletics administration was determined to remake the football program into one founded on sound discipline and transparency. The tough-talking, no-nonsense Helton seemed to fit this need perfectly. Helton was nearly the diametric opposite of the brash, innovative John Jenkins. Where Jenkins believed in the primacy of passing offense above all else, Helton preached a hard-nosed brand of football centered on fundamentals that was a throwback to the 1970s. UH joined the newly formed Conference USA for the 1996 season. In the inaugural season of C-USA play, led by future NFL running back Antowain Smith and quarterback Chuck Clements, the Cougars went 7–5 — their first winning season in six years. They also went 4–1 in conference play to win a share of the inaugural C-USA title, their first "official" conference title of any sort in 13 years. UH won that season's pivotal game against Southern Miss 56–49 in overtime. 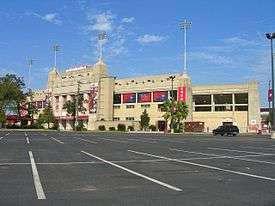 As part of a new trend, the game was played at on-campus Robertson Stadium rather than at their long-time home, the Astrodome. The Cougars also played in their first bowl game since 1988, losing to No. 21 Syracuse 30–17 in the Liberty Bowl. The Cougars fared better in the 2002 season, but new athletic director Dave Maggard made it clear that he expected significant progress in the program's performance on the field. Late in the year, with the Cougars holding a 4–7 record, Maggard informed Dimel that he would not be asked to return as head coach for the 2003 season. The final game of the 2002 season was a rousing 27–10 upset win over Louisville that spoiled the Cardinals' chances of winning the conference title, but UH finished with a 5–7 record which was good for only 8th best in Conference USA. Despite landing some highly rated recruits, the Dimel era featured tremendous disappointment. Dimel had an 8–26 record in three years, the most losses in any period that Houston has ever suffered. Tom Herman was hired on December 15, 2014 to replace Levine, after winning the Broyles Award as the nation's top assistant coach while serving under Urban Meyer at Ohio State. Herman led the Cougars in his first season as head coach to its first conference championship since 2006 by beating rival Temple 24–13 in the inaugural American Athletic Conference Championship, ending the regular season 12–1. The 2015 Houston Cougars football team was selected to play in the Peach Bowl, where, on December 31, 2015, they defeated the Florida State Seminoles 38–24. UH finished ranked 8th in the AP Top 25 Poll. A finalist for the Eddie Robinson and Bear Bryant Coach of the Year Awards, Herman was named the Football Writers Association of America First-Year Coach of the Year and the American Athletic Conference Co-Coach of the Year. In Herman's first semester at Houston, the Houston Cougars Football program set the mark for most hours passed per student-athlete in a spring semester with an average of 13.5 hours per student-athlete. The team recorded its highest semester GPA in the last four years, and third-highest spring semester GPA in program history, to bolster its cumulative GPA to the second-highest mark in program history. During his second season, Tom Herman led the Cougars to an opening win over the third-ranked Oklahoma Sooners at the AdvoCare Texas Kickoff in Houston. The team went on a 5-win streak, earning national recognition and prospects of competing in the 2016 College Football Playoffs, until losing to the SMU Mustangs in early October. The Cougars ended the season 9-3, with a second signature win over the fifth-ranked Louisville Cardinals in mid-November. On November 26, 2016, it was announced that Herman would leave the University of Houston to take on the role of head football coach at the University of Texas at Austin. Defensive Coordinator Todd Orlando was named Interim Head Coach that same day. The Houston Cougars' football program started the same year as its basketball program in 1946. The Cougars played in the Lone Star Conference for their first few seasons through 1948. The university then decided to leave for the Gulf Coast Conference. From 1951 to 1959 Houston played in the Missouri Valley Conference. In 1956, when the NCAA split into divisions, the team began playing as a part of the University Division (later known as Division I). From 1960 to 1976 the Houston Cougars were a major independent, achieving six straight final Top-25 finishes (eight total while independent) and five bowl appearances. In 1976, the Cougars began to play in their first athletic conference since 1959 when they joined the now-defunct Southwest Conference. After the breakup of the SWC in 1996, Houston became a charter member of then newly formed Conference USA. Houston has competed in bowl games during nine of the last eleven football seasons. 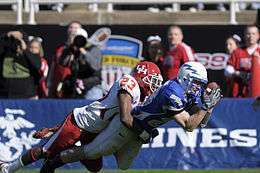 Prior to Houston's 2008 Armed Forces Bowl win against Air Force, the Cougars had not won a bowl game since the 1980 Garden State Bowl. This put the Cougars in second place behind the Notre Dame Fighting Irish for the all-time longest bowl-game losing streak. Overall Houston has made 24 bowl appearances during its history, including four Cotton Bowls, in which Houston holds a 2–2 record with wins over Nebraska and Maryland. On January 2, 2012, Houston matched up with Penn State of the Big 10 in the TicketCity Bowl and won 30–14. The 2015 Armed Forces Bowl (January) victory over Pitt was the largest fourth quarter comeback in bowl history, 25 total points in under 11 minutes / 22 unanswered points in the last six minutes. Houston was invited to its first New Year's Six bowl game in 2015, where they upset Florida State 38–24 in the Peach Bowl. TDECU Stadium is the Cougars' new stadium. The groundbreaking for the project occurred on February 8, 2013, and the Cougars moved in for the 2014 season. The cost to build the stadium was $128 million. It is built upon the former Robertson Stadium site. In 1951, Houston Stadium, a stadium subsidized by the city of Houston opened. Until 1964, the Cougars played their home games at Rice Stadium along with Rice University. During this time, President John F. Kennedy gave his famous address regarding the nation's space effort at the stadium. While TDECU Stadium was under construction during the 2013 season, the Cougars played five of their seven home games at Reliant Stadium (now known as NRG Stadium). The other two home games in 2013 were played at BBVA Compass Stadium. In 2016, Houston again played at NRG Stadium, where they defeated Oklahoma in front of a crowd of 71,016. ↑ 1 second ago. "University of Houston Athletics :: UH Cougars :: Official Athletic Site". UH Cougars. Retrieved 2016-03-24. 1 2 3 4 5 6 Wizig, Jerry (1977). Eat 'Em Up, Cougars: Houston Football. The Strode Publishers, Inc. ISBN 0-87397-122-1. ↑ "Sports Shavings". The Dallas Morning News. 1945-08-23. p. 6. ↑ "Lone Star Conference Invites U. of Houston". The Dallas Morning News. 1945-10-26. p. 15. ↑ "Facilities: John O'Quinn Field at Robertson Stadium". University of Houston athletics. Retrieved 2008-04-08. ↑ "Houston Thumbs Down". Amarillo Globe-News. 1946-01-04. p. 12. ↑ Carpenter, Tom (2003-09-10). "Cougar '48 alum was UH's first sports hero". The Daily Cougar. Retrieved 2008-04-08. ↑ "Lee Houston Football Coach". The New York Times. 1948-02-18. p. 40. ↑ Ratliff, Harold (1948-12-12). "Southwest Conference Votes Down Expansion". Victoria Advocate. Retrieved 2010-03-29. ↑ "Southwest Loop May Admit Texas Tech". St. Petersburg Times. 1954-05-04. Retrieved 2009-07-22. ↑ "Starting Early This Year". Toledo Blade. 1949-07-31. Retrieved 2010-03-29. ↑ "Houston University Joins Missouri Valley Conference". St. Petersburg Times. 1950-06-20. Retrieved 2010-05-29. ↑ "Houston Powers to 33–19 Win". St. Petersburg Times. 1952-11-30. Retrieved 2010-05-29. ↑ Nelson, Lindsey (1953-07-26). "Michigan State Again Picked As Top Grid Power". Toledo Blade. Retrieved 2009-07-22. ↑ "Meek Takes 3 Assistants to Houston". The Miami News. 1955-01-20. Retrieved 2010-05-29. 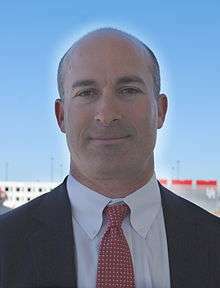 ↑ "Lahar Named Grid Coach at Houston". Reading Eagle. 1957-01-18. Retrieved 2010-05-29. ↑ Fullerton Jr., Hugh (1957-01-19). "Lahar Quits Colgate in Favor of Houston". The Gadsden Times. Retrieved 2010-05-29. ↑ "The Southwest". Sports Illustrated. 1958-09-22. Retrieved 2009-06-01. ↑ "On Television" (PDF). Retrieved 2009-08-10. ↑ "Houston Is Placed on Probation". The New York Times. 1988-12-17. Retrieved 2009-09-16. ↑ Reed, J.D. ; Coleman, Carolyn-Lawrence (1988-11-14). "The N.C.A.A. Calls "Foul!"". Time Magazine. Retrieved 2009-02-22. ↑ Schlabach, Mark (2007-12-06). "Yellow Jackets, Wolverines, Midshipmen earn high marks". ESPN.com. ESPN. Retrieved 2008-11-17. ↑ "Cougars Seek Help From Facility". Victoria Advocate. 1994-08-31. Retrieved 2010-05-29. ↑ Loh, Zaneta (2008-09-02). "Cougars trample Jaguars". The Daily Cougar. Retrieved 2008-09-02. ↑ Friedlander, Andy (January 2, 2015). "Houston Shocks Pitt in Fort Worth's Armed Forces Bowl 'Miracle', Scoring Final 22 Points", Dallas Morning News. Retrieved January 3, 2015. ↑ UniformCritics.com, History of Houston Cougars Football Uniforms. Retrieved October 30, 2013. ↑ UniformCritics.com, Photos of 2011 Houston Throwback Football Uniform. Retrieved October 30, 2013. ↑ UHCougars.com, Houston Auctions Commemorative Football Jerseys. Retrieved October 30, 2013. ↑ UniformCritics.com, Photos of 2012 Houston Gray Football Uniform. Retrieved October 30, 2013. ↑ UniformCritics.com, Photos of new 2013 Houston Football Uniform Design. Retrieved October 30, 2013. ↑ UniformCritics.com, Photos of Houston's New White Football Helmet. Retrieved October 30, 2013. ↑ UniformCritics.com, Photos of 2013 Houston Halloween Football Uniform. Retrieved October 30, 2013. ↑ Khan Jr, Sam. "Big East votes to formally invite schools to conference". Houston Chronicle. Retrieved 21 November 2011. ↑ Griffin, Tim. "Sumlin ideal to recruit fertile Houston landscape". ESPN. Retrieved 2008-04-07. ↑ "The Entropy System College Football Ratings and Predictions". Retrieved December 13, 2015. ↑ "NCAA Division IA Football Power Ratings". Retrieved December 13, 2015. ↑ UH adds Georgia Southern to future football schedules by Joseph Duarte. Houston Chronicle, 9 Nov 2016. Retrieved 2016-11-09. ↑ Khan Jr., Sam (2011-12-09). "Amid Big East celebration, UH officials talk new football stadium". Houston Chronicle. Retrieved 2011-12-14. ↑ "Houston Cougars to get new stadium". Sports Illustrated. 2011-12-09. Retrieved 2011-12-14.